Hope everyone is ok! love the pictures. Thanks, Jen. My neighbor cut her finger pretty bad while using her new mandoline cutter. We joked that if she didn’t want to make the potatoes for dinner, she could have just asked us to make them. Everyone’s OK now! 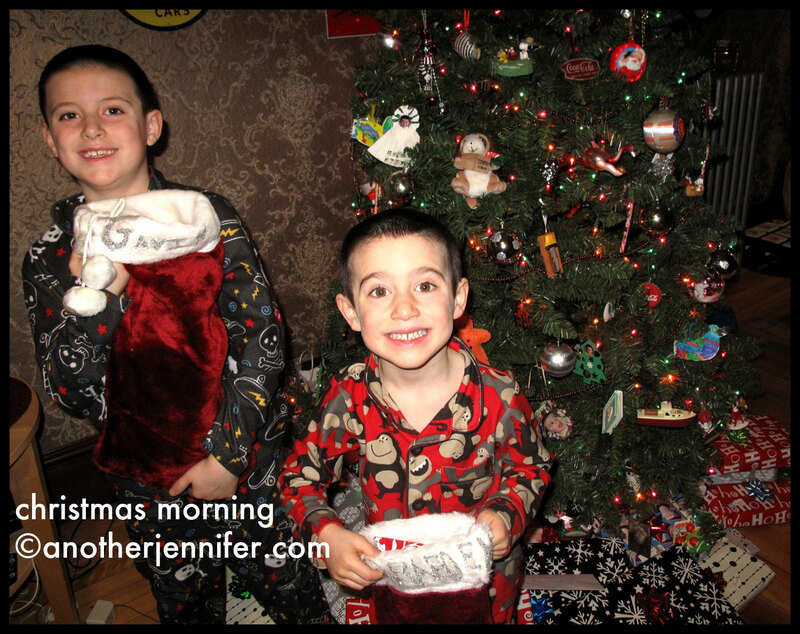 Looks like a wonderful Christmas (except for the trip to the ER???). 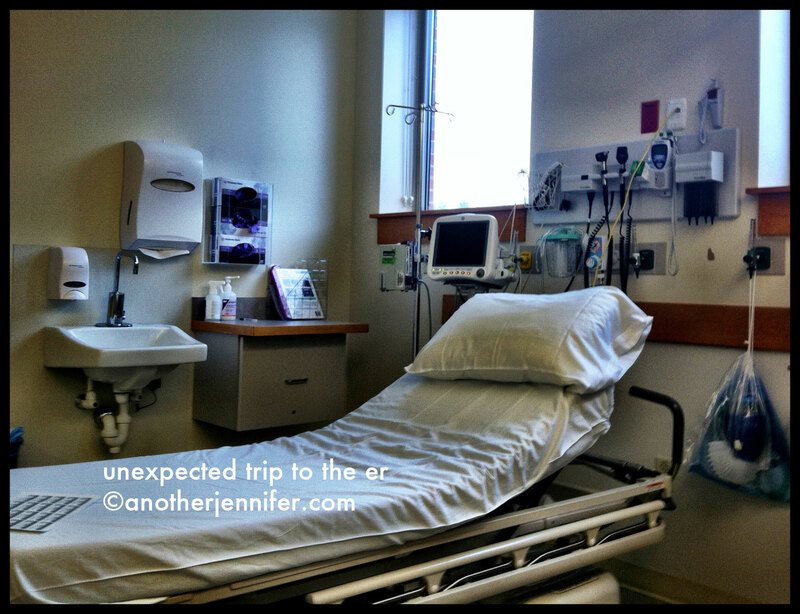 Luckily the trip to the ER wasn’t too bad. It was an unexpected Christmas adventure! I hope you are fine and your Christmas looks like it was otherwise fantastic! Monica Platz recently posted..PlayMG Wi-Fi Gaming System GIVEAWAY!!! Everyone’s fine. It was a fantastic day despite the ER trip! LOVE the story your pictures tell… Merry Merry my friend!! Chris Carter recently posted..Joy To The World! Thanks, Chris. Merry Merry to you, my friend! WOW! 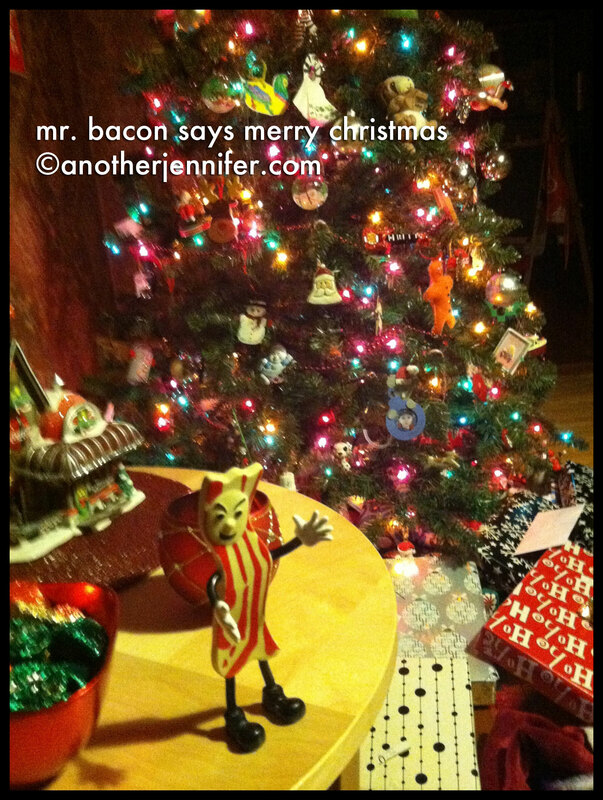 You had an eventful holiday…love Mr. Bacon and the 2 sleeping pics…Christmas is hard work and so much FUN. Happy Holidays! It was quite a day. All things considered, a very good holiday! Hope everyone is ok now! Love your photos! Boys are adorable! Thanks, Ilene. I hope you had a great holiday! 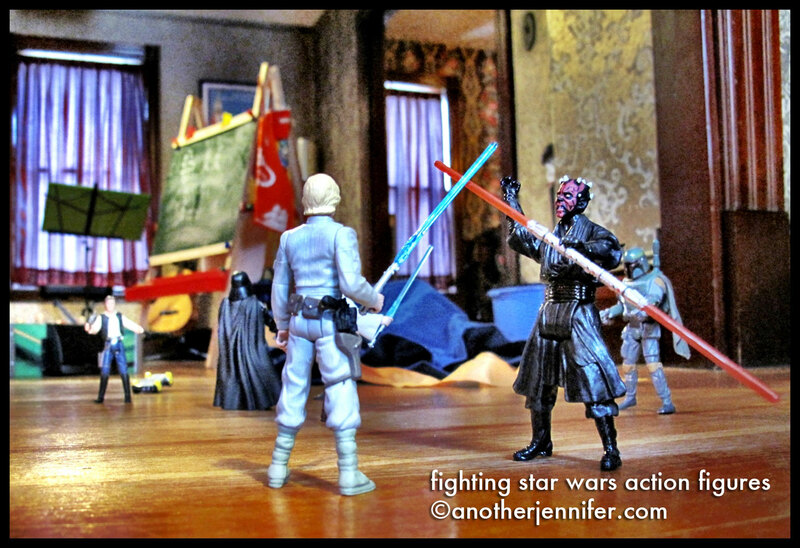 And, yes, everyone’s OK. What’s Christmas without a little adventure? 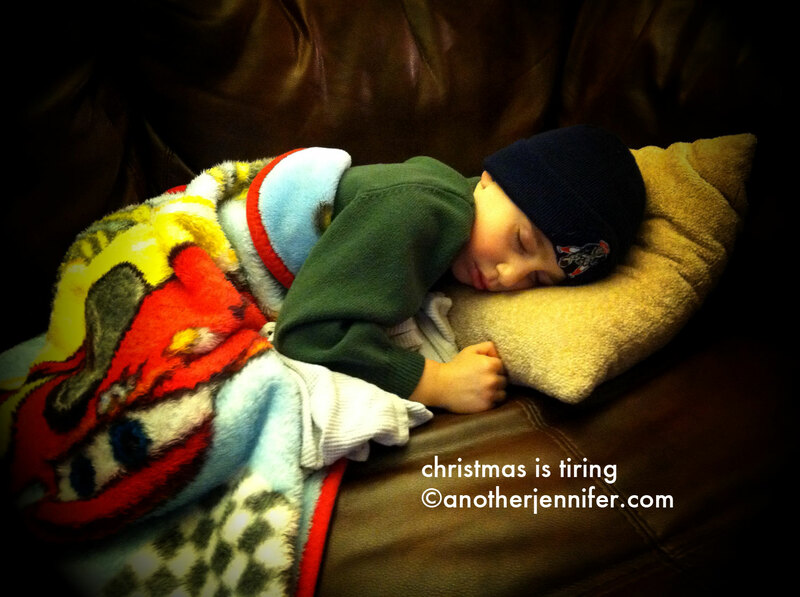 Christmas is tiring! I agree. You have so many ornaments on your tree, the boys must have a ton of fun decorating it. 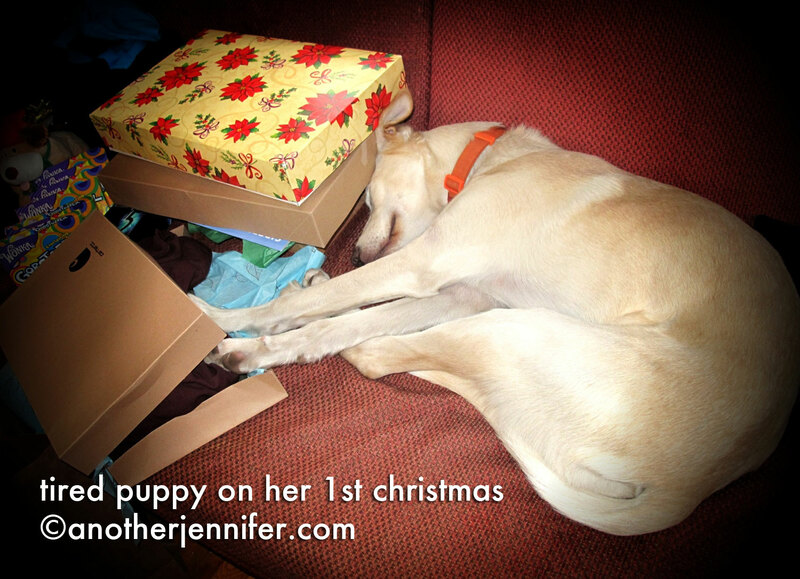 Hope you had a wonderful holiday Jenn!